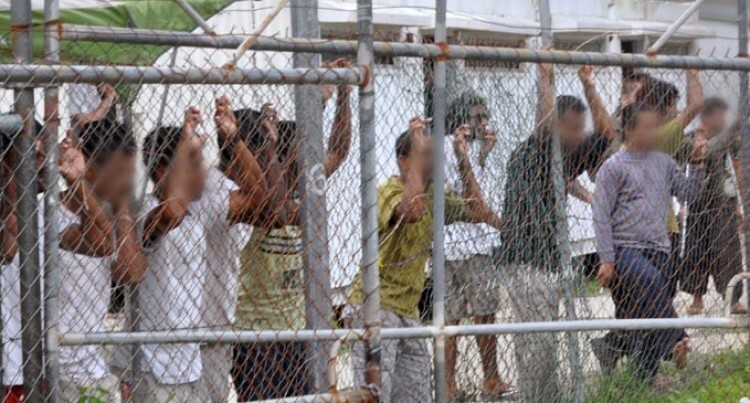 Asylum-seekers held at the Manus Detention Centre. It is not the result for or against the Government that proves a judiciary is independent, but rather the rightness of individual decision, says Chief Justice Anthony Gates. Chief Justice Gates was responding to comments made by Papua New Guinea judge Justice Terence Higgins regarding the Fijian Judiciary. Justice Higgins was a member of a five panel of the Supreme Court of PNG which some months ago had ruled unanimously that the detention of asylum-seekers on Manus breached detainees’ human rights and was therefore unconstitutional. During the course of an interview with a reporter of The Guardian Australia following the decision, Justice Higgins referred to his decision as an example of the PNG’s judiciary being independent from its own Government. He was asked why the Australian Government did not foresee the results, Justice Higgins is reported as replying: “You would have thought so, unless they thought the Government up there controls the judiciary which it doesn’t. When asked about this comment by Justice Higgins, Chief Justice Gates said: “I cannot comment nor would I, on the validity of Justice Higgins’ judgment in the Manus case. However in making side comments on the integrity of other judiciaries the judge has descended to uninformed and generalised comment outside his role. “Generalised comments are avoided in judgments. Our opinions must be based upon established facts and the law, otherwise our unsupported judgments will be reversed on appeal. “However, it is not the result for or against the Government that proves a judiciary is independent but, rather the rightness of the individual decision. Justice Higgins has referred to his decisions as demonstrating independence. “He has not referred to any judgment that proves a lack of independence with the Fiji judiciary. Unfortunately he undermines the weight of his own opinions by such an uninformed generalisation. “In Fiji we can but dismiss it as a side comment, made to a journalist on the spur of the moment without much thought,” Chief Justice Gates said.